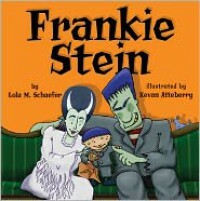 Frankie Stein was my son's library pick this past week. It turned out to be a really cute Halloween read. Frankie Stein was born into a family with a long history of being scary. 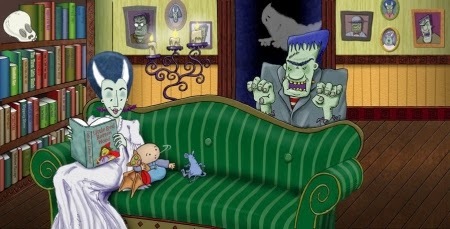 Cute little Frankie Stein didn't look scary at all so Mr. and Mrs. Stein set out to help Frankie fit in. The illustrations in Frankie Stein were awesome. I think I'm going to be obsessed with hunting down more Kevan Atteberry books. We are going to have to add this book and Frankie Stein Starts School to our personal Halloween library. If you are looking for a wonderfully illustrated Halloween book full of monsters, ghosts, and all things spooky without the book actually being spooky (so cute! 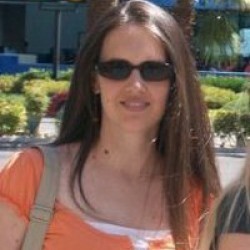 ), Frankie Stein is a perfect fit.